Online video is the easiest form of entertainment when you're in front of a computer. You do not need to install too many apps and the websites hosting the short movies are plenty. But when you are away from PC and Internet, how can you see funny videos or cool movies? Now here are 6 steps I wrote up to download videos from youtube and convert them for your iPod or mobile phone, what means you can replay youtube videos anywhere! 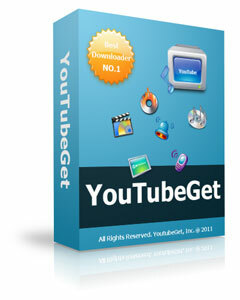 Installation of YoutubeGet is fast, and requires no technical knowledge. After the installation, you can double click YoutubeGet Icon on the desktop to run it. You will see the Getting Started Wizard, which is simple and easy. Now visit Youtube(www.youtube.com) to select your favorite videos, then drag their URL onto YoutubeGet Drag Zone on the right top of screen, or you can copy the videos URL. What you see? A Task-Add window jumps out and the URL has been auto-filled in the Task URL Box. We should choose the last option for Mobile Phone. Just click the Download Button and have a cup of coffee. When the downloading finished, it will make a "Ding" sound to tell you all things have been done, and open a new window to show you where the converted file is. How to Download from YouTube Step 6: Copy. Just copy the conveted file to your mobile phone.